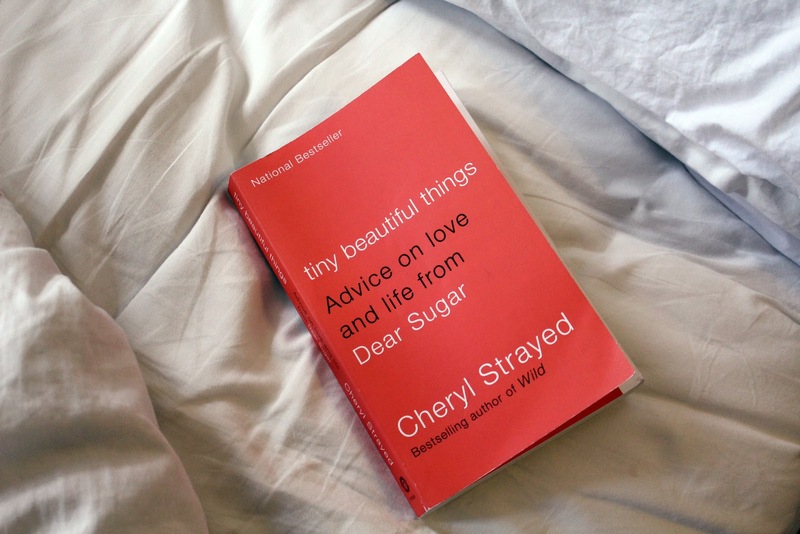 Tiny Beautiful Things by Cheryl Strayed, author of the equally amazing Wild. This book is an enriching experience that I recommend to everyone and anyone. I promise you'll find something exquisitely gutting in this book, no matter where you are or what you are going through. Whether you are living with your face in the light or walking through the darkness of a reckoning, Strayed will reach into your core and peel back another layer. Safely, and with great comfort, Strayed's writing finds your raw truth with a gentle guidance that feels like coming home.